In the wake of Hurricane Matthew, a viral social media post is giving an important tip for anyone who has to evacuate their home as a hurricane approaches. Lumberton, North Carolina resident Shiela Pulanco Russell posted the following message to Facebook about a neat trick that can help you figure out whether or not the food in your fridge went bad during the storm. They suggested, "For those of you that are evacuating from the coast, I just heard a great tip. It's called the one cup tip. You put a cup of water in your freezer. Freeze it solid and then put a quarter on top of it and leave it in your freezer," Shiela wrote. "That way when you come back after you've been evacuated you can tell if your food went completely bad and just refroze or if it stayed frozen while you were gone." 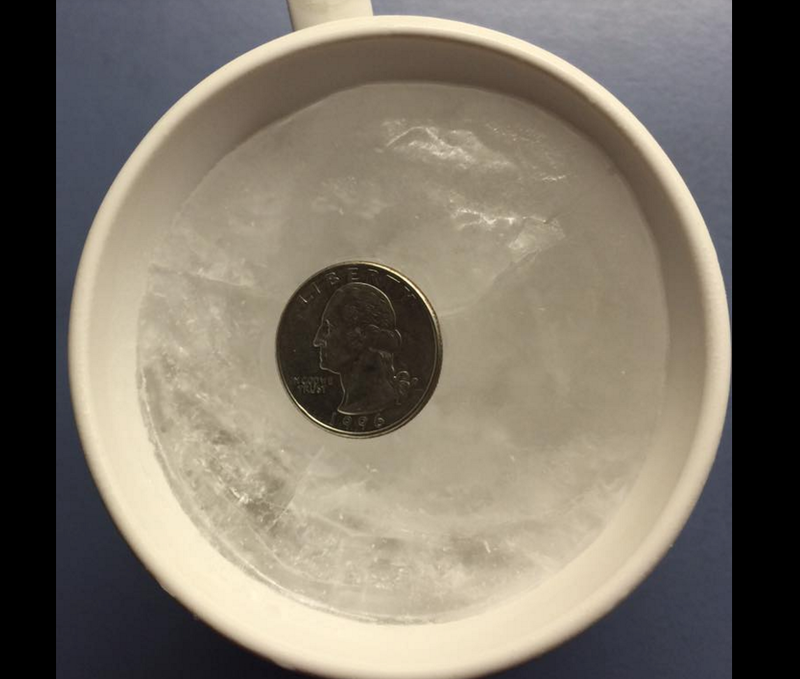 If the quarter has fallen to the bottom of the cup, then it’s a sign that the food in your freezer defrosted and then refroze while you were gone, so it’s probably a good idea to toss it. Hurricane Matthew left heavy flooding and property damage when it passed over the Caribbean and several Southern states — North and South Carolina, Georgia, and Florida.